This will be my second last update as your campaigns director! What a journey it has been. I will leave reminiscing to my April update. Let’s talk about what has happened in March! The Count on Our Vote campaign really came to the forefront this month, with tabling and many different events! The results have been stellar – we collected almost 500 pledges and were out in the quad 2-3 times a week for all of March! We were able to engage with a lot of students and get people excited about the upcoming election on May 9th. We had two main events this month – the Oak-Bay Gordon Head Debate, and the South Island Candidates Fair. For the debate, we had lively discussion between Andrew Weaver, Bryce Casavant, and Alex Dutton. The event drew 150 students and community members creating an awesome atmosphere in David Lam Auditorium. We live-streamed the entire event and about 40 people joined us from home. If you add up all the minutes spent watching, there are 70 full hours worth of view time! We will definitely be doing more live video. Check out the live stream yourself. The candidates fair was also a great time. To encourage interaction with the candidates, we did a $100 giveaway for students who received a signature from each of the stations! Although the NDP and Green’s showed up in force, the Liberals did not attend despite much lead time on the invitation. I won’t speculate on reasons, but it was certainly a missed opportunity for them! A steady stream of students stopped by, and it seemed like many of the candidates had great interactions. Another large portion of my time this month was spent training the incoming Director of Campaigns and Community Relations Anmol Swaich. Anmol has shown an eagerness to learn the ins and outs of the role, and I am looking forward to the awesome initiatives she is planning for her term! My very last month will be mostly wrapping things up, but there is one thing to look forward to. We have worked hard with Elections BC and will be hosting Advance Voting for the provincial election on Thursday, April 13th! This is an awesome opportunity to vote before heading back home, and will be very convenient since it is in the SUB Upper Lounge from 8am – 8pm! Make sure you invite your friends to the event. This February the “community relations” bit of my title was most prevalent, with amazing conferences and partnerships formed across Canada. 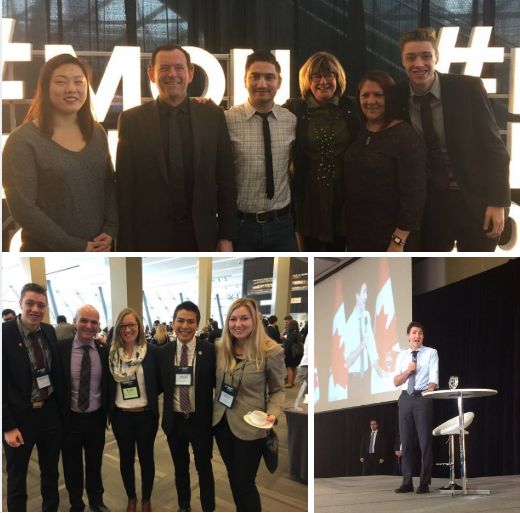 Early in the month, I had the incredible opportunity to represent UVic at Converge 2017, a conference where students, politicians, and university executives came together to develop a vision for what we wanted Canada to become. Looking forward to 2067, we talked about innovation, reconciliation, pluralism, and inclusivity in a rapidly changing global landscape. The highlight of the event was hearing from Prime Minster Justin Trudeau on what defines Canada. He clearly explained how openness to immigrants was a competitive advantage for Canada. He stated that we are a society that has understood that defining ourselves based on ethnicity, language, religion, etc. doesn’t work. He emphasized that there is no ‘typical’ Canadian, and that we have discovered how to make our difference a source of strength. There were many other amazing speakers at the conference, but what was truly valuable is having the opportunity to discuss a myriad of student issues with university presidents and staff, members of parliament, and more. Many were intrigued with the potential of open textbooks to reshape education and I am hopeful that conversations will blossom into action. 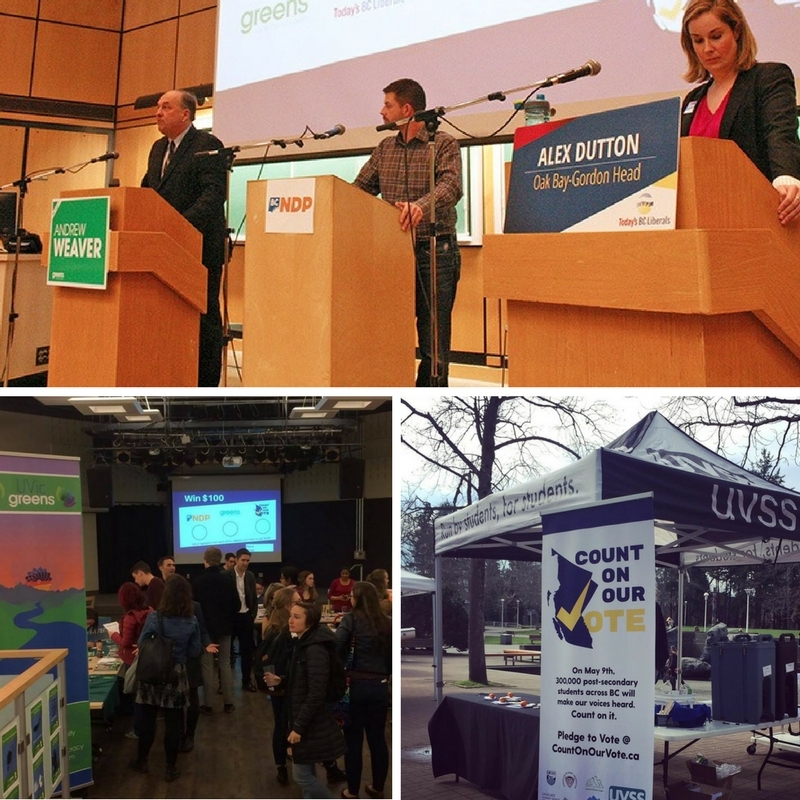 This March you will be seeing a lot more of the Count on Our Vote campaign – a joint campaign between the Alliance of BC Students and the UVSS. In the second week of February myself and three amazing volunteer leaders (Chitra, Pauline and Gerrald) went to the Alliance of BC Students campaign conference to work with other student unions to prepare for launch. We have the swag all ready to go and are excited for a big launch this week! Interested in volunteering for Count on Our Vote? Email campaigns@uvic.ca! 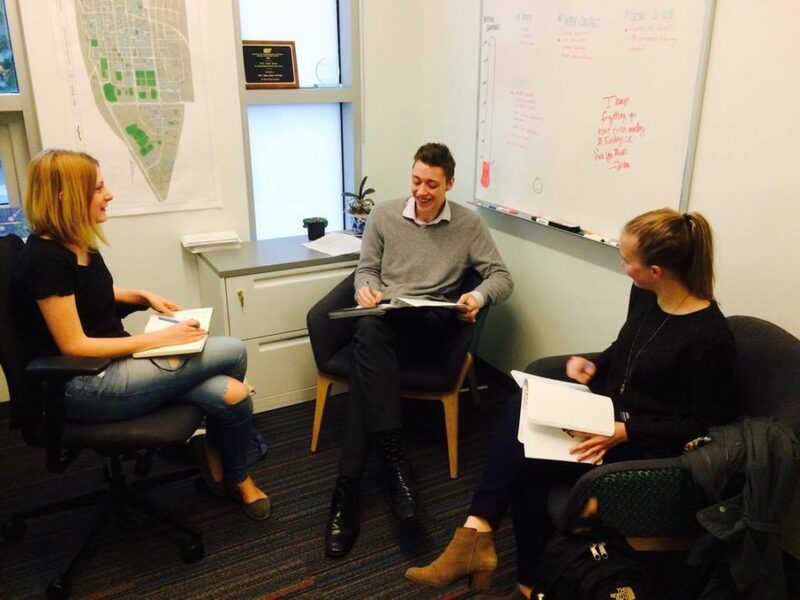 Clearly outline student housing rights outside of the RTA. Continue investments in the BC Open Textbook Program to allow existing resources to be kept up to date and support the creation of ancillary textbook materials. Stay tuned for the results in March updates! The month of March will be focused on getting out the vote for the provincial election! Get excited for debates, forums and speakers, centered around student issues! Make sure you pledge to vote @ CountOnOurVote.ca. P.S. Congrats to incoming Anmol Swaich! March will also be full of training to make sure Anmol can hit the ground running with great ideas in May! 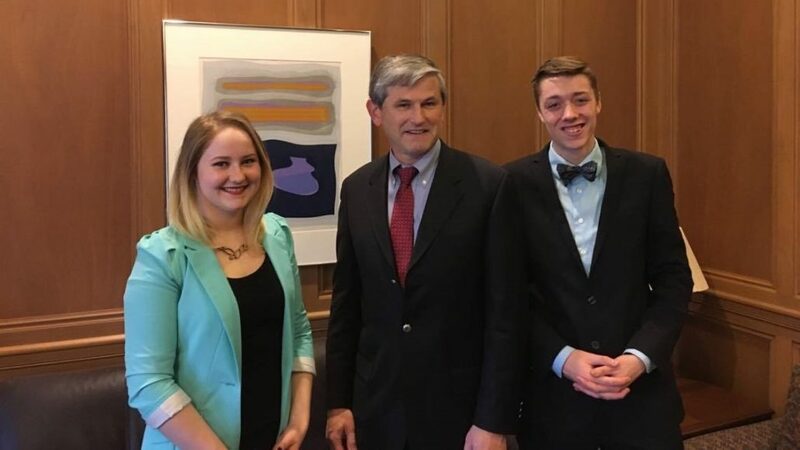 Director of Campaigns and Community Relations, Maxwell Nicholson and Director of Student Affairs, Emma Kinakin meet with Minister Wilkinson to lobby on provincial student issues. 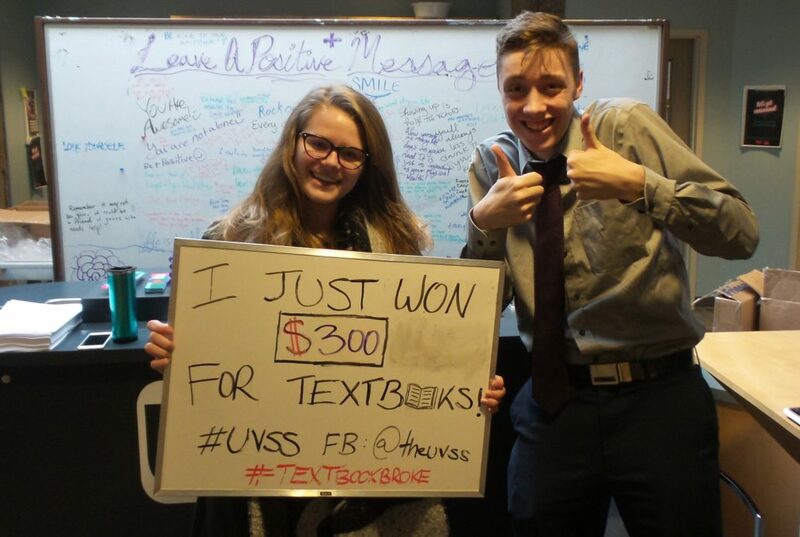 What a wonderful last couple weeks it has been at the UVSS! Definitely some exciting updates from the campaigns department and much more in store for next semester. First, we have continued to meet with Saanich city councilor Fred Haynes and the University of Victoria to discuss a viable solution to the housing crisis in Victoria: allowing universities to build more student housing. Currently the government restricts universities from self-supported capital projects, which restricts their ability to respond to a growing demand. The problem is complex, but we now have the support of the Union of BC Municipalities (all the mayors in BC), the Alliance of BC Students, the Simon Fraser Student Society, the UBC Alma Mater Society, the UVic administration, and the Camosun administration, and are continuing to put pressure on the government to fix this problem. 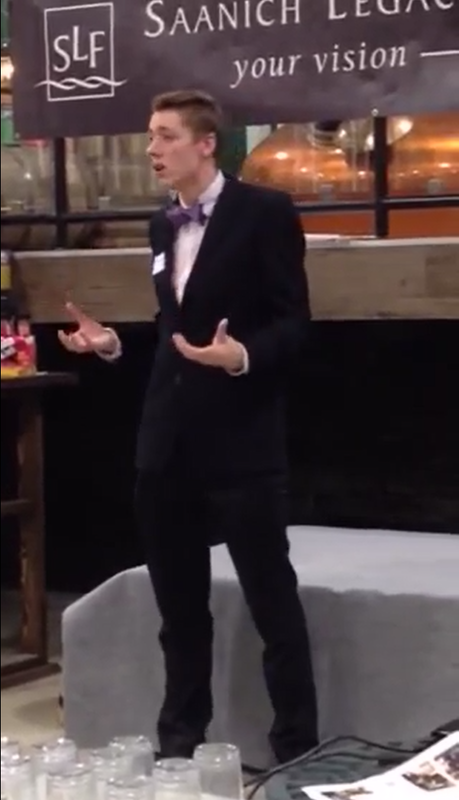 On the 29th I had the pleasure of saying a few kind words about Fred’s leadership on this issue to a room of Saanich community leaders at the Victoria Caledonian Brewery & Distillery (lovely craft beer!). Establish a needs-based student grant program that addresses student needs and provides incentives for completion and conduct a review of the current B.C. student loan eligibility requirements and interest charged on B.C. student loans. Our pragmatic approach was well received, and we will continue to be pushing for these important student issues! 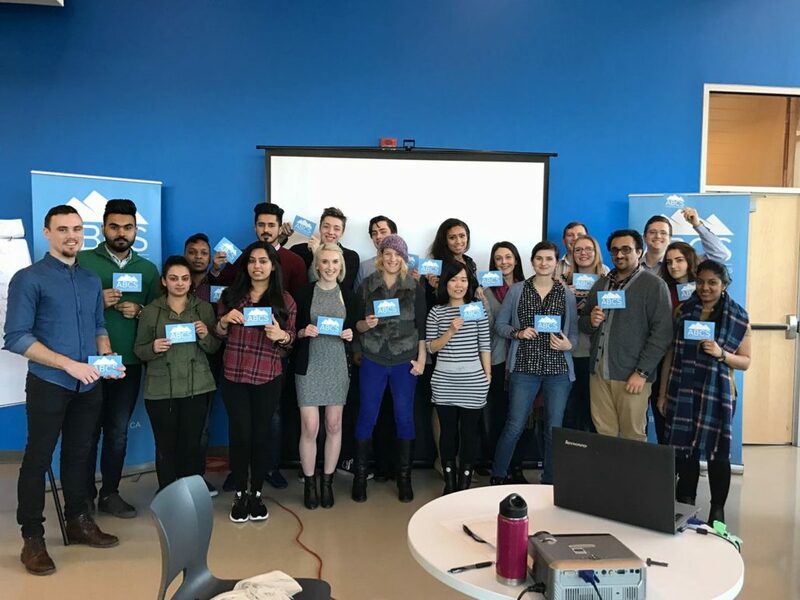 Bell Sponsors Mental Health Event! 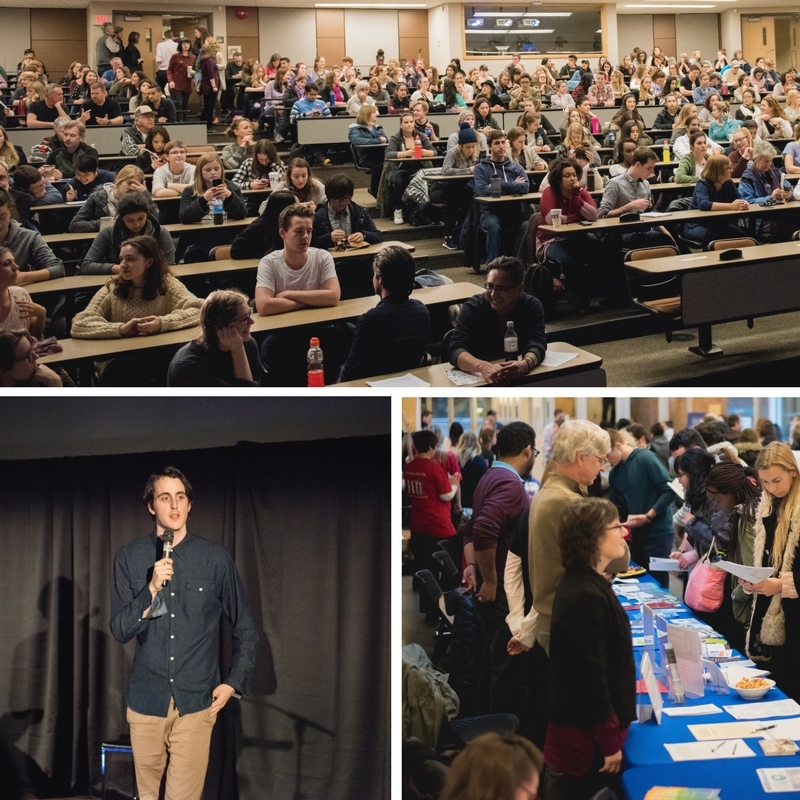 Finally, exciting news on the mental health front – Bell Let’s Talk is partnering with us with a $3,500 for our Mental Health Awareness Week, which will feature keynote speaker Kevin Breel on January 18th, a renown speaker with a TED talk boosting almost 3 million views! Stay tuned for more event details. I am truly honored to represent students on these issues, and my door is always open to hear what you want to see from the campaigns department! In the meantime, good luck on exams, and have a wonderful holiday season! https://uvss.ca/wp-content/uploads/2016/08/uvss-logo.gif 0 0 campaigns https://uvss.ca/wp-content/uploads/2016/08/uvss-logo.gif campaigns2016-12-01 20:20:302016-12-01 20:40:11Lobbying, Speeches and Sponsors!